WORKS and Transport Minister Rohan Sinanan has said government will not bow to protest to repair roads. He said he is aware some roads are very bad owing to years of neglect and depending on the availability of funds they will be repaved and resheeted, on a phased basis. “Unfortunately, some people resort to protest action, but I can tell you that these sort of protests cannot change the process we use,” Sinanan said in an interview with Newsday Wednesday. He was referring to protests by the Point Fortin to San Fernando Taxi Driver Association on Monday and Tuesday. The drivers parked their cars on the taxi stand to highlight the deplorable road conditions, as well as an increase in the price of super fuel, which most of the taxis use. The lack of service left hundreds of commuters stranded, including some who were sympathetic to the drivers’ cause. Association president John David said it was not a course of action they were comfortable with, because in addition to inconveniencing their passengers, the drivers were also incurring a loss by not working. However, he said they chose this option rather than blocking the road and setting fire to debris to highlight their cause. He said every month drivers were out of pocket by approximately $2,000, spent on maintenance and repairs made necessary by the bad roads. He said the travel time had also increased, which was an additional financial burden. David said they did not want to increase their fare of $15, as many of their passengers had lost their jobs. However, after two days of protest, the drivers were back on the job Wednesday, after a decision taken at a meeting on Tuesday evening. David said their return is temporary as they are hoping the action would lead those who can make a difference to address this ill. The association delivered letters by hand, on Tuesday, to MP Housing Minister Edmund Dillon, MP for La Brea Nicole Olivierre, the Prime Minister, Sinanan and Public Utilities Minister Robert Le Hunte outlining their situation and appealing for urgent intervention. 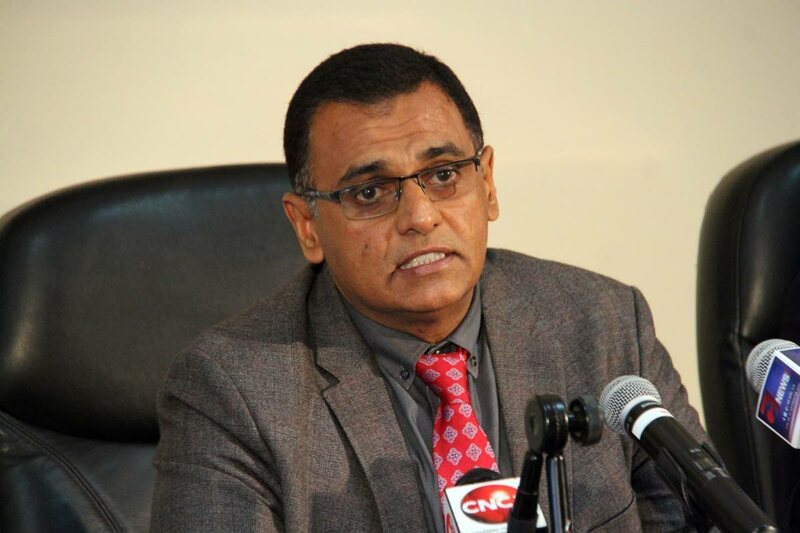 David said Le Hunte was copied because the Water and Sewerage Authority is one of the main culprits in the deterioration of the roads from Point Fortin to Oropouche. However, Sinanan said the authorities would not bow to the pressure of protest to fix roads. “We have started a lot of work on that side (deep south), but the thing about it is that all the work cannot be done at the same time. It has to do with the availability of funding. While work is being done to improve the main roads, Sinanan said work continues apace on continuing the highway from San Fernando to Point Fortin to bring permanent relief. “Two packages were awarded this week for different segments, and there are two more which have to be retendered, because we were not satisfied with the cost. If the price is too high, we will simply retender, because we want value for money,” Sinanan said. Reply to "Minister: Roads to be fixed, but we won’t bow to pressure"